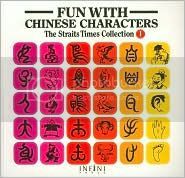 Fun with Chinese Characters Vol. 1, 2 and 3. 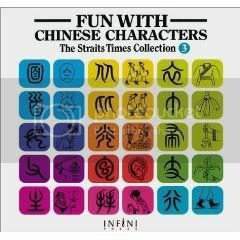 These are the most interesting books for Chinese characters I have ever seen. The character for the sheep 羊 is mess up with the pig 豕 @ 04:36, thanks to Cyrano for pointing that out. 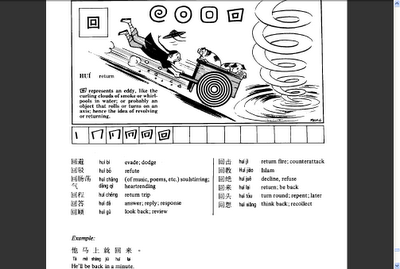 CLICK HERE to see etymology of 羊 (remember to scroll down to see all the different forms). CLICK HERE and hit the brushes next to each character to see the stroke orders. Grab a piece of paper and write them down. 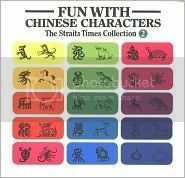 I hope you find them fun and help you understand more characters. This animation video is really cool. As one of the comments on Youtube, the character for the sheep is mess up with the pig @ 04:36. The creator Yuji seems to be very creative! Thanks for sharing this. I think I've seen these books before! Yes, very interesting! Cyrano, appreciate your love and comment. I've updated a link for "羊" the sheep in my post. Bananaz, Yea, that's why cats want to kill and eat rats now...lol. Another wonderful post from you. 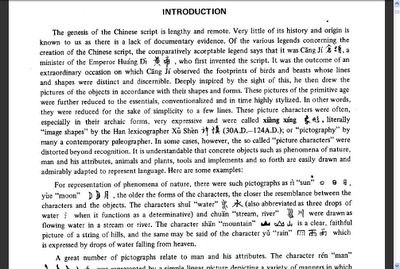 I love the you tube video clip on the Chinese characters. I really enjoy the video clip on the animal characters. 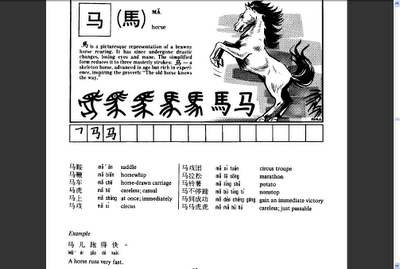 That's the way how the Chinese characters came into being, think the cow, goat, rabbit , chicken, horse were quite close. Sad that the new simplified version "kills" the originality especially the word 'horse' as the mane and the four dots representing the four legs are missing in the new version. Thanks a lot, Cinnamon and CheaHS@n! 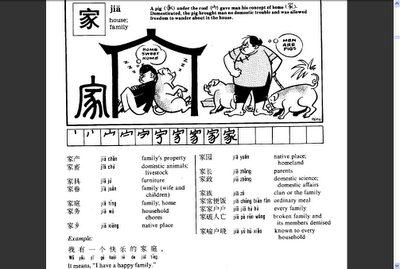 And yea...sad that simplified characters don't have the original beauty and meanings. But good that a lot people are still using and supporting traditional characters! 3. What are those with four words and in pairs and rhymes? 4. 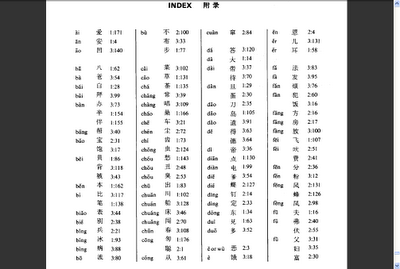 What is 文言文 wényánwén? 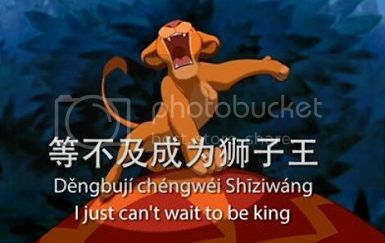 Bananaz, I'm just a gal from Taiwan with passion in Chinese. Still far away from expert. ^_^ Believe or not, I'm still learning from you and other readers as well. 3. Can you give me an example of that? Love your video, great song. Happy Winter Solstice 冬至快乐 Happy Dong Zhi! Dong Zhi Kuaile, Bananaz! Do you eat tangyuan? I wish I could have some. I like tangyuan especially my mom's tangyuan. Have not being eating tangyuan for many many years, not my fave though. There is also one particular song about "Selling tangyuan". M and V here. We own all three books you've featured, and enjoy learning from them. Although not all will appreciate the fact that many are in the simplified form, it sure helps us a lot. Epimetheus, are you Mike and Valarie? I tried to go to your profile but it's not available. Thanks for commenting and I'm glad that the books help you a lot. Hope to see you here often. Wow, it is a great way to learn them and it is pretty original. I think that most of the people won't forget those characters. Great great sharing. You've written nice post, I am gonna bookmark this page, keep it up the great work. 哇... 我得奖了!! WOW...I Got an Award! !